Welcome to Hollingworth Touch in the heart of Ruby Country. Located in Ruby Country and serving Devon and Cornwall I specialise in the treatment of acute and chronic muscular conditions such as back pain, stiff necks, aching shoulders and legs. 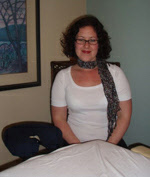 I offer home visits in Devon and Cornwall for most of my services such as massage therapy, Reiki, etc. I also specialise in alternative healing. I am a firm advocate of Natural Healing and through my desire to be able to give my clients the very best treatments to facilitate this; I have constantly trained to the highest standard in many aspects. My intension is to provide a positive and individual experience to every client based upon their needs and my knowledge and expertise. All treatments are tailored to the individual rather then a ‘one size fits all approach.’ People experience pain in different ways which is why by tailoring the treatments I am able to deliver an effective yet relaxing treatment suited to the individual. My treatment room is located at Cookworthy Forest Centre in the very heart of Devon’s beautiful Ruby Country and I also have a room in the Exeter Natural Health Centre. Portable treatments are available for an extra cost. My opening times are flexible as I understand many people work weekdays so evening and weekend appointments can be arranged. This entry was posted in shopping and tagged Cookworthy Forest, Devon, Hatherleigh, holistic therapy, Holsworthy, relaxation, ruby country, services. Bookmark the permalink. I think this site contains some real great information for everyone : D.
info that I was looking for! .